As an Expat, once the initial period and challenges of settling in are completed, you may wish to explore options to gain new skills and identify the competences you are currently acquiring. At the same time, this is a great way/exercise to prepare your return to work. A period as an Expat is an excellent opportunity to sit back and reflect on who we are; what we like; what is important to us and in doing so, we may rediscover ourselves and what we really want from life. 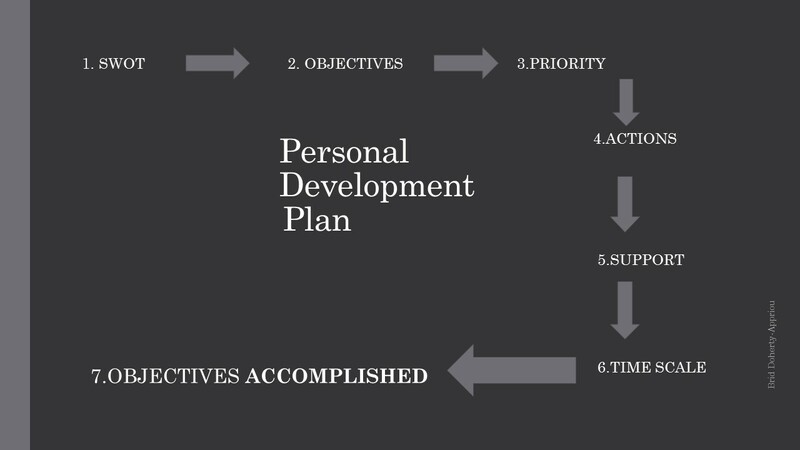 If you haven’t completed one before, it’s never too late to compile a Personal Development Plan (PDP) to obtain and achieve your objectives. You can make things happen; be proactive and responsible for your decisions and actions. To keep in line with the theme of this blog, we will look at putting in place an action plan for future career development which could involve keeping skills and industry knowledge up to date or developing new skills. This plan can work just as well for personal objective purposes. 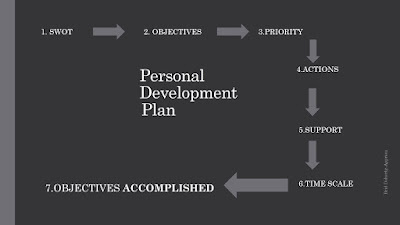 For career; learning and/or personal development objectives, your PDP will be a working document covering areas such as identifying who you are; what you want; your skills and experience; lacking skills/education; your objectives as well as a written record to follow progress in obtaining your objectives. If at times you feel lost or without support or intellectually cut off from the world of work, your PDP and defined objectives are a GREAT booster and form of motivation which will keep you focused and remind you of the goals you set. It will help to build your self-esteem as you are working towards your objectives; as well as a recognition that you are undertaking and learning new skills and/or interests. We can all get side tracked at times. No matter how well organized you are, the unplanned can happen. To keep in line with your objective(s), your plan is there as a reminder. Place it somewhere visible to you; share your objectives with family and friends who will be happy to help you in reaching your goal(s). The first step is to do a personal SWOT analysis. This is a study/process generally used by organizations to identify their Strengths (internal), Weaknesses (internal), Opportunities (external) and Threats (external). However, this can be adapted to looking for work or for personal development. The SWOT will help you to reflect on what you have learned already and the environment that surrounds you. To compile the SWOT, for the Strengths and Weaknesses, you can cover what you learned at school/university/work and in your personal life. For the Opportunities and Threats, think about the position you would like to have; in which industry sector; look at the job opportunities/requirements and careers available in this sector, as well as companies present in this domain. Once the SWOT completed and when you really know what you want to do, either career wise or personally, you can then set your objectives to place into short, mid or long-term goals. Then it is time to write your career action plan which is comprised of these objectives and the steps needed to reach them. Missing skills identified in the SWOT can become objectives. Obstacles which could get in the way while reaching these objectives should also be noted. A guideline to writing an objective is for it to be short. Objectives should be clear, with no ambiguity and attainable. An example of a career objective is: “when I return to my home country, I want to find employment in a company where I can work part-time as an Accountant and be within 30kms drive from my home”. To reach this goal, you can state as actions: “identify potential companies in this domain of expertise, who are based in the region, address my CV to these companies, as well as to recruitment companies in this area”. Another example is to set up your own business. This will entail actions such as obtaining information on different types of company structures, as well as seeking financial advice. To reach your goals/objectives, you need to be consistent and disciplined. If you set out clear objectives and step by step actions, you will see results and remain motivated. Prioritize what is essential. Sometimes the essential is the most challenging task and we tend to forgo this for simpler tasks. However, to succeed, these tasks must be tackled! Don’t hesitate in asking for advice from experts in the domain. “Even if things don’t unfold the way you expected, don’t be disheartened or give up. One who continues to advance, will win in the end”. Always remember that the best person to do the things you said you would do, is yourself. Never give up on an objective. Keep your mindset positive and keep focused on the objective. It is only with determination, tenacity and aspiration that you will reach your final objective.